Covering a globe with fertile promise, lavish leaves bring their beauty to this design. 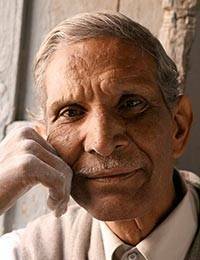 Gulam Rasool is a master at traditional jali or openwork carving. Working in soapstone, he crafts a beautiful candleholder for the romantic glow of a tea light.